Intrepid Control Systems » Vehicle Network Adapters Vehicle Network Adapters | Intrepid Control Systems, Inc. Please browse our vehicle network adapters below; click on a specific tool to learn more about it. The neoVI FIRE 2 is our latest vehicle network adapter, providing up to 8 CAN / CAN FD channels, 4 LIN channels and Ethernet/DoIP support. 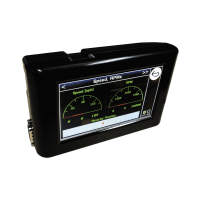 The neoVI ION is an advanced, expandable vehicle network adapter, ruggedized for automotive use, with mobile connectivity. The neoVI PLASMA is our most expandable vehicle network adapter and includes mobile connectivity, a touchscreen and keypads. Thousands sold! The neoVI FIRE provides 6 CAN and 4 LIN channels; the neoVI RED has 2 CAN and 2 LIN. Both use a fully-isolated USB interface. 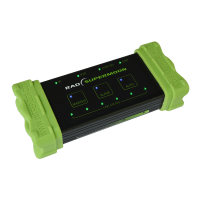 The RAD-Galaxy is a BroadR-Reach® (100BASE-T1) multi active-tap / media converter with 12 Automotive Ethernet and 8 CAN FD channels. 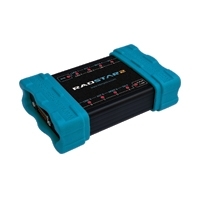 The RAD-Star 2 is an Automotive Ethernet active tap and media converter used to transmit and receive on a BroadR-Reach® (100BASE-T1) network. It also has CAN and CAN FD. The first widely available media converter for 1000BASE-T1, the RAD-SuperMoon includes support for AVB/TSN, and can also be used in pairs as an active tap. The RAD-Moon is a USB-powered media converter for connecting BroadR-Reach® (100BASE-T1) and standard 100 Mb/s Ethernet (100BASE-TX) . 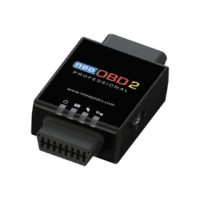 An open platform OBD interface for automotive enterprise IoT applications, equipped with programmable Wi-Fi and Bluetooth BLE modules to give you complete access to raw vehicle network data via secure APIs. Intrepid’s next generation family of low-cost, high-performance interfaces for CAN and CAN FD networks, offering 1 to 4 CAN / CAN FD channels, improved performance, new features, and a multitude of options, including LIN and Ethernet. 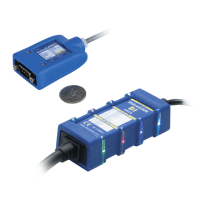 The ValueCAN3 is the low-cost standard: a high performance, yet simple and low-cost, vehicle network adapter for Dual Wire CAN. A versatile CAN tool with a customizable, full-color capacitive touchscreen. Create your own field service tool or driver’s aid, or create a customized display tailored to engineers, managers or hobbyists.